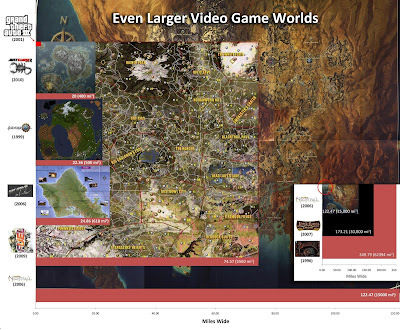 The Elder Scrolls V Skyrim - An epic and vast open world with enormous mountains, rivers, towns, caves, cities, dungeons, and more is yours for exploring on foot or by horse in Skyrim. It's extremely detailed and the graphics are amazing (especially if you use some texture mods on the PC) The game includes dynamically generated quests, that give it pretty much infinite replay value. 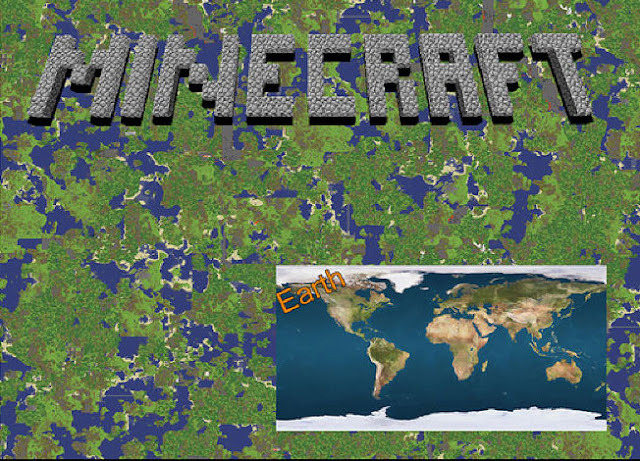 Minecraft - According to the developer, Notch, the game world is 8 times the surface of the earth! Far Cry 3 - A huge tropical Island is yours for exploring on foot, by car, boat, hang glider and even a wingsuit. Just watch out for sharks. Burnout Paradise - One of the most fun racing games I've played in a long time, the game has a lot of open road for you to explore and race on. Red Dead Redemption - A vast desert to explore teeming with wildlife and dynamic quests, with something new to find around every corner, Red Dead Redemption is one game that shouldn't be missed by anyone who loves big open maps to explore. Eve Online - This game is set in space, so it's not fair to compare it to other games not in the space genre, as it includes about 5000 star systems to explore. Still worth a mention though, as it's one of my favorite games simply because of how vast it is. And while we're on the topic of space games, Star Wars Galaxies was pretty big too. Too bad it was shutdown. 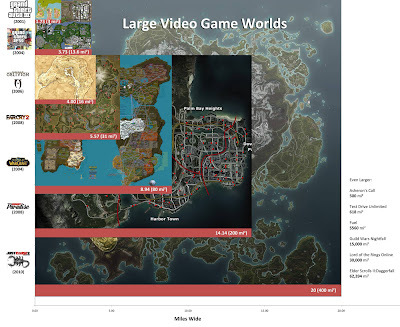 Also a note about Daggerfall: (Not included in the image) The game is around 188,000 miles / 487,000 square kilometers. and is still at the top of the list to this day. Even more honorable mentions: EverQuest and EverQuest 2 had some huge maps, mainly because they have been updated with 13 years of expansions, so the maps got bigger and bigger over the years.